The Internet is alive with idiotic chatter, as always. Part of that chatter involves House Speaker Nancy Pelosi’s reaction to most of Donald Trump’s State of the Union speech the other evening. The goofballs out there just couldn’t understand why the speaker didn’t lead the cheers for the president. The picture I posted here, of course, tells the story of what is customary at these events. Speaker Paul Ryan belongs to a different party than President Barack Obama. 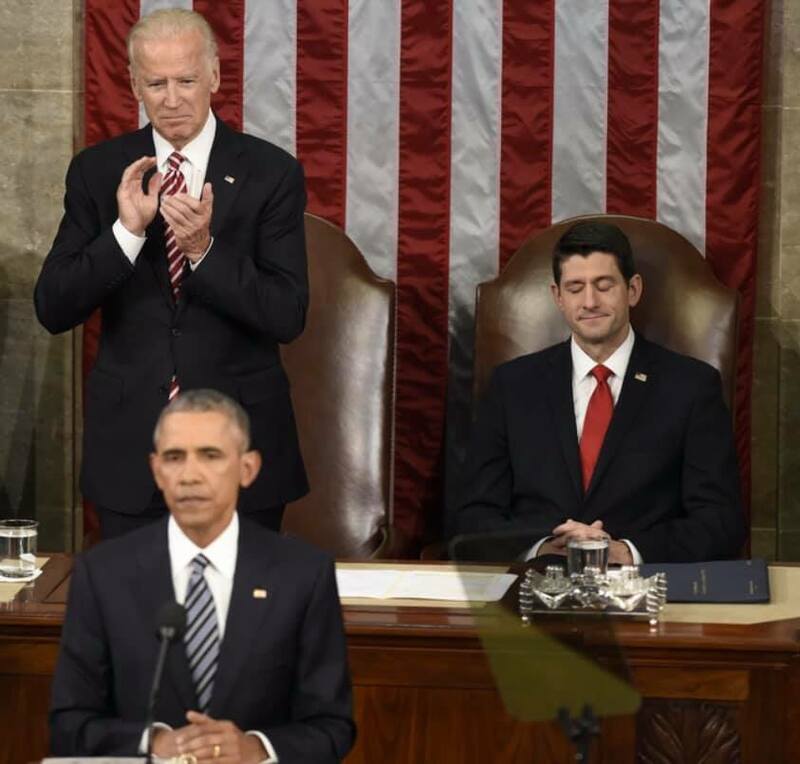 The picture shows Vice President Joe Biden clapping while Speaker Ryan sits there. Stone-faced. Expressionless. Have you ever noticed the dour look that Ryan’s GOP predecessor as speaker, John Boehner, would display when President Obama was being cheered by Democrats? It’s all part of the time-honored game. Speakers from the opposing party do stand — on occasion — when the president says something that engenders bipartisan cheers. Trump did so the other night on more than one occasion and, yes, Pelosi joined Vice President Mike Pence in applauding the president. Speaker Tip O’Neill sat on his hands often whenever President Reagan drew whoops and hollers from the GOP lawmakers. Republican Speaker Newt Gingrich did the same thing when President Clinton fired up the partisans on the other side. Democratic Speakers Jim Wright and Tom Foley also played the game when Republican presidents were cheered by their congressional brethren. So, let’s cool it with the malarkey about Speaker Pelosi’s SOTU behavior. She did what all her predecessors have done since the beginning of the Republic. Donald Trump sought to strike some sweet notes during his State of the Union speech, asking for an end to politics of revenge, seeking more cooperation and compromise and less confrontation. If only the president had made one more pledge, one that I wish would come from his mouth. I wish he would pledge an end to insult and innuendo. To my ears, those have been the hallmarks of Trump’s time as president. He continues to hurl insults at his foes. He denigrates opponents’ patriotism, their intellect, their motives. He just recently said House Speaker Nancy Pelosi is a “danger” to the country. Why? Because she resists spending billions of dollars to build The Wall along our southern border; she pushes back on the president’s effort to ascribe certain motives behind why she believes what she believes. Trump’s call for compromise and his plea to reject revenge is fine as far as it goes. The coarseness of the current political debate is attributable directly to the president’s continuing use of insults and innuendo. I won’t suggest that he has caused the coarseness solely, but he at the very minimum helps perpetuate it by the manner in which he hits back at critics. Well, that’s their view. It ain’t mine. Donald Trump cannot respond without hurling a verbal brickbat. That doesn’t make America great . . . again. I will have more to say about Donald Trump’s State of the Union speech after I get some sleep tonight. He pledged to speak to the ideals of unity, bipartisanship and compromise. Then he said there would be no progress while we’re going through “ridiculous” investigations. Hmm. I think the president — dare I say it? — trumped his own call for compromise and unity. Why didn’t speaker introduce POTUS? Donald Trump’s State of the Union speech has concluded, but I want to revisit the very beginning of the president’s remarks. The president walks down the aisle, shaking hands and greeting those who want to be seen in his presence. Then the president ascends to the podium, hands copies of his speech to the vice president and the speaker of the House. The president takes the applause. Then the clapping subsides. Then the speaker usually says something like this: “It is my high honor and privilege to introduce to you, the president of the United States.” Applause commences again. Except that Speaker Nancy Pelosi didn’t introduce the president. Donald Trump started his speech right away. What . . . happened? I don’t know about you but I plan to try to interpret some body language that will be on full display this evening in front of the entire United States of America when Donald Trump delivers the presidential State of the Union speech. Sitting over his left shoulder will be a woman with whom he has had, um . . . words. Speaker Nancy Pelosi invited him to the House of Representatives chamber, then uninvited him, then reinvited him. The president and the speaker aren’t exactly close. They’re fighting over The Wall. 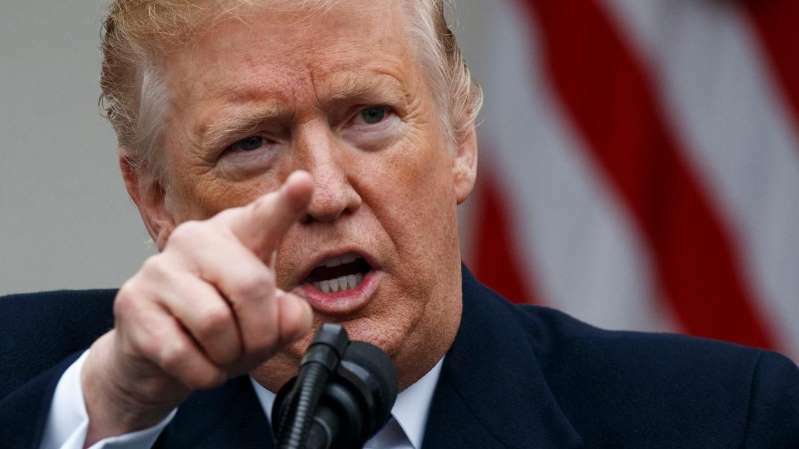 Trump wants money to build it along our southern border; Pelosi says it is an “immoral” request and opposes its construction. Hey, we’ve seen this kind of thing play out many times over many decades. Speaker John Boehner and later Paul Ryan never looked all that thrilled when Barack Obama delivered his State of the Union speeches. The speakers were Republicans, the president was a Democrat. How about when Speaker Pelosi sat behind GOP President Bush, or when GOP Speaker Newt Gingrich had to listen to Democratic President Clinton deliver the SOTU? Same thing, man. The speaker of a different party than the president usually doesn’t jump to his or her feet to applaud when POTUS delivers a line that suggests he expects some hand claps. The animus between the current speaker and the president, though, is more visceral. Or so it appears. 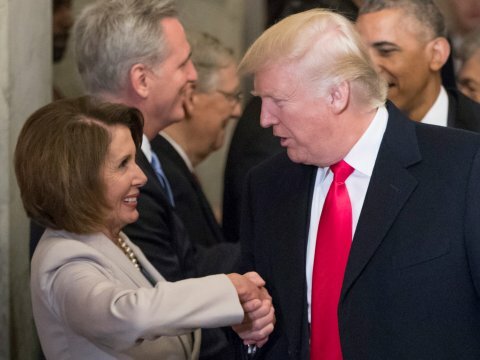 Sure, Trump said some nice things about Pelosi when House Democrats elected her speaker at the start of this congressional session. Did he mean them? Hah, you figure it out! Pelosi, meanwhile, has been even less generous in her public comments about Trump. I believe the president knows it and likely will feel the speaker’s icy stare on the back of his neck while he talks about the State of the (dis)Union. I read a headline today that wondered which version of Donald Trump we’re going to see Tuesday when he stands before a joint congressional session to deliver a State of the Union speech. Will it be Teleprompter Trump or Twitter Trump? Oh, brother. Neither version of the president of the United States is particularly appealing to me. Then again, I’m a critic of the president, so he’s got a huge mountain to climb to swing me to his side of the great political divide. 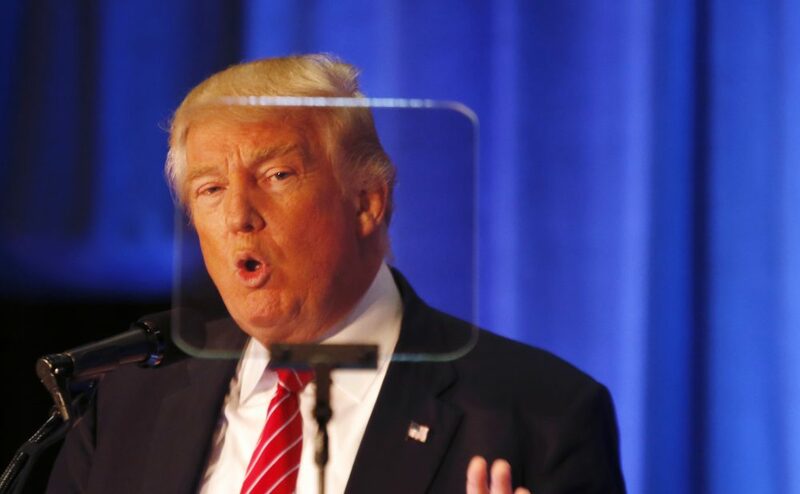 Teleprompter Trump seeks to sound presidential. However, he’s not very good at it. I watch Teleprompter Trump deliver remarks while reading prepared text and I get the feeling I am watching someone who doesn’t believe a single word he is saying. He speaks as if he’s being held hostage. His message sounds like one of those phony confessions one’s captors force a prisoner to make. Teleprompter Trump is insincere. I don’t believe him when he speaks to us in that fashion. For that matter, I don’t believe anything he says at any time, under any circumstance. Scratch that notion. He is particularly unbelievable when he’s reading from a device that rolls prepared text in front of him. Twitter Trump is another sort of creature altogether. This is the version of the Donald Trump that speaks from what passes for his heart, or his brain, or whatever source that produces those incoherent ramblings. Twitter Trump is what we see at those political rallies. We saw that version of Donald Trump throughout the 2016 presidential campaign. He has showed up repeatedly while serving as president. 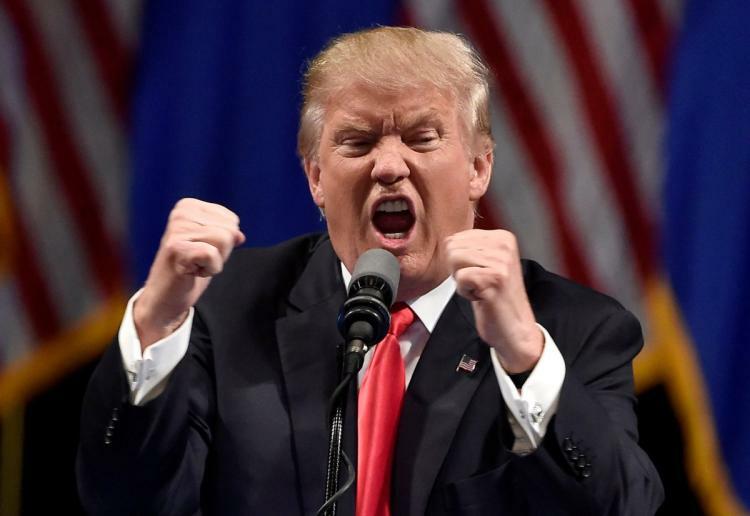 He wails and whines about the “witch hunt,” or the “hoax.” He throws out those goofy and nonsensical nicknames/epithets he hangs on his political adversaries. If Teleprompter Trump falls short of sounding presidential, Twitter Trump makes no attempt at delivering high-minded rhetoric. Twitter Trump makes me cringe. He embarrasses me, even though I take no responsibility for his winning the 2016 presidential election. Which of them will show up on Capitol Hill to deliver the SOTU? It doesn’t matter to me. I guess I just consider it a bit of a back story to a larger drama that continues to play out — with a potentially tragic ending yet to come. Unity, Mr. President? You’re going to talk ‘unity’? Donald J. Trump has let the cat out of the bag. The president’s long-planned State of the Union speech is going to stress several points, but he said he wants to stress “unity” in his pitch to a joint session of Congress and to the nation that will watch him on TV. Well, now. What do you think about that? Here’s what I think. I believe the president will have to demonstrate his quest for political unity by scrapping a petulant rhetorical device we hear Republicans use all the time. The first time he uses the term “Democrat” as an adjective — as in “Democrat lawmakers” or “Democrat Party” — will be a clue that his unity pledge is just another empty platitude. That bit of rhetorical chicanery grates on me. I hate hearing it because I know why Republicans do it. They bastardize the term “Democrat” that way because it has an edge to it. The term doesn’t roll off the tongue the way “Democratic” does. The conversion of “Democrat” into a adjective began during the mid-1990s when then-Speaker Newt Gingrich decided to characterize Democrats as the “enemy of normal Americans.” I’ll hand it to Republican politicians ever since. They’ve done a good job of turning their “friends” on the other side of the aisle into political cartoon characters. The latest top Republican, Trump, now is set to talk yet again about unity. He wants to unify the country. He intends to use the SOTU speech as his vehicle for doing that. Good! I wish him well. I want him to unify the country. I want him to bridge the divide. I also want him to stop pis**** off those of us who align with the Democratic Party simply by using the term “Democrat” in that insulting manner that has worked so well for the Republics. So, just how is the ‘state of our Union’? 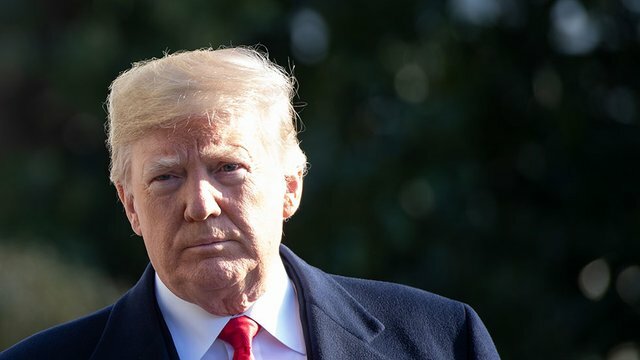 Donald J. Trump is going to stand in the U.S. House of Representatives next week to deliver his State of the Union speech. I really am wondering how he’s going to characterize the state of our Union. Will he declare it strong? Is it vibrant? Does our Union reflect his aim to “make America great again”? Were the president to ask me about how I view the state of our Union, I would have tell him the harsh truth as I see it. The Union is broken. It is damaged badly. It needs repair. I get that the economy is rocking along. We’re adding tens of thousands of jobs each month. Unemployment is at near-historic lows. The economic improvement has accelerated during the first two years of the president’s term. For that I give him due credit. However, there is so much more that is fractured. The president cannot possibly declare, given the state of our federal functionality, declare the Union to be strong. Oh, but he’ll likely seek to do exactly that. He might draw laughter from the Democratic side of the House chamber along with the cheers that will come from the Republicans. Our federal government is on life support. Congress and the president cannot pay for it to run for longer than weeks at a time. They are haggling over The Wall. Trump is trying to keep a profoundly stupid campaign promise to build the thing; he is trying to foist the cost on you and me while ignoring the pledge he made dozens of times that Mexico would pay for The Wall. He will declare that there’s a “crisis” on the southern border. There is no crisis. Indeed, the only crisis I can find is within the United States, where gunmen keep killing fellow Americans. Do you remember the president’s pledge that “this American carnage” was going to stop? It hasn’t ended. He will ignore that, too. Well, I look forward to hearing from the president. I cannot support him or his agenda. I cannot condone the way he berates his national security team, or how he insults his foes and denigrates the media. How will he frame the state of our Union, which in reality is as divided as it has been for the past two decades? 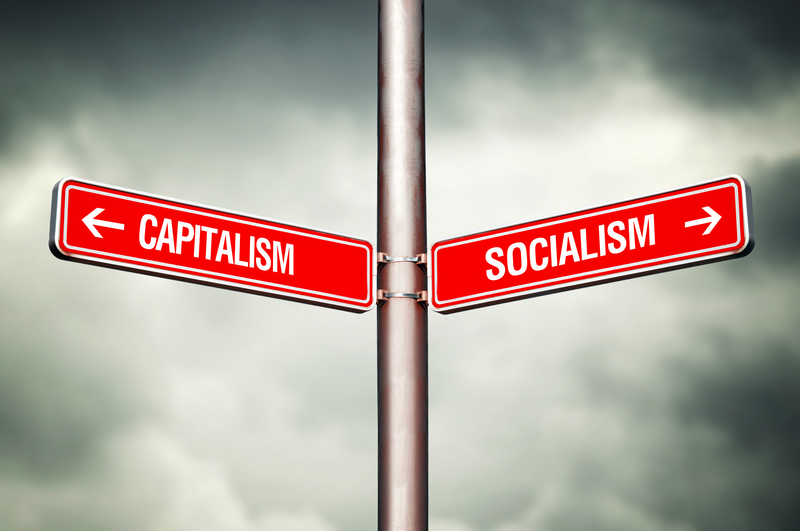 It likely will bear no resemblance to what many millions of Americans perceive. I am willing to admit it: I usually watch presidents of the United States deliver State of the Union speeches. He’ll likely get as much laughter as applause, if that’s what he says. The president was supposed to deliver the SOTU on Tuesday. Then he messed up by shutting down the government. House Speaker Nancy Pelosi, who is empowered to invite the president into the House of Representatives chamber for these speeches, pulled the invitation back. Open the government, Mr. President, before delivering the speech. Trump at first looked for an alternate venue. Then he announced he was “proud” to reopen the part of the government he had shuttered. Those of us who look at matters reasonably and somewhat dispassionately can understand the obvious: The state of our Union is in terrible condition. Six weeks ago, the president could have declared that the nation’s economic condition was good; now it’s teetering just a bit. As for the political state of our Union, it is as divided as it was when Trump took office more than two years ago. He vowed to be a unifying president. He hasn’t made the grade. He has vowed to get Mexico to build The Wall. Now he’s trying to foist the cost of the monstrosity on you and me. There’s always the back story that plays out at these speeches. Lawmakers from the president’s party will cheer the head of state; those who serve under the other party banner will sit on their hands. It happens no matter who is delivering the speech. 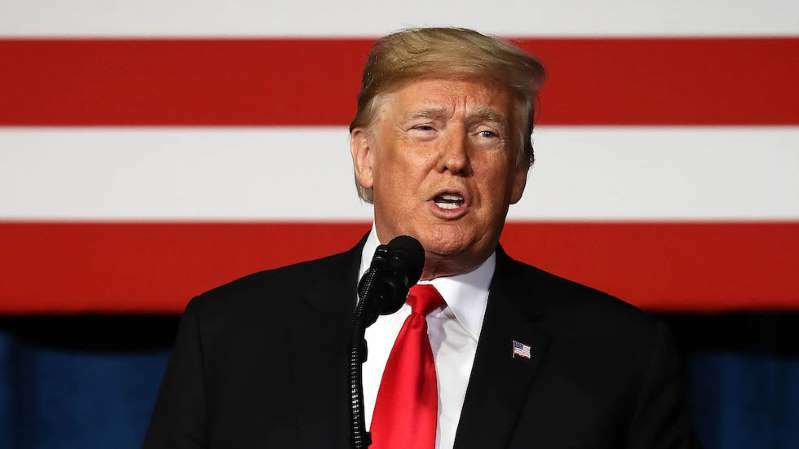 This speech will attract particular attention to that phenomenon simply because the president happens to be Donald John Trump. I’ll make this clear: I do not expect to smile and nod at much — if anything! — of what comes from the president’s mouth. However, I’ll be watching with keen interest.